Mark Reckons has tagged me in a meme after he in turn was tagged by Guy Aitchison from OpenDemocracy has tagged Mark in a meme asking for his big idea for POWER2010 (which Mark has blogged about). ‘Power2010's call for the public's idea for how we change politics has generated a fantastic response. In truth, when we started I expected around 500 ideas - 1000 at best. But just over a month in and we've already received over 2000, ranging from more traditional reformers' demands like fixed term parliaments and votes at 16, to the more unexpected and imaginative like a House of Lords made up of charitable representatives. 1. Electronic portable devices with remote log-ins. Would it not be more efficient if MP’s can vote away from the main chamber and also attend some debates remotely. As it is, the chamber is not big enough to hold all the MP’s, therefore being able to attend remotely if only to hear the debate would be a great help for both MP’s time and use of chamber space. This device would still record the voting details for the record and this would be loaded to say the public whip website instantly to the MP’s record on votes. Plenty of devises can do this like Palms or Blackberries. 2. MP’s should have a pre-appointed office staff and therefore don’t need to claim expenses for an office. Also they should be allowed to employ their partners as we want to keep families to stay together and being an MP does require that your away from the family home more than most jobs. 3. I would be happy for the number of MP’s to be reduced if a fairer system of voting was introduced. I would opt for Single Transferable Vote but this should be debated and reviewed. 4. Reduce the power of the Whips. I believe major reform is required in this area. MP’s need a degree of independence. For example the accommodation whip is just not right, taking revenge or rewarding people by deciding on what room a MP can use just seems to hold them back from an MP’s important business. A reform here will allow meaningful debate in parliament without fear of the chief Whips. There are many wholesale changes needed but the idea is to just give a few of my ideas. And Jennie Rigg aka SB who is a proud Lib Dem Blogger. Iain Dale has posted an article on his Blog here about his thoughts on candidate selection after his experience at Bracknell’s primary. Katy Lindsay also applied for Woking and Sleaford (conservative Majority over 6000). Rory Stewart applied and won selection for PPC in Penrith (a very safe seat with a majority of over 10,000). The discussion on a local or non local candidate is just one of the issues. I prefer a local candidate but I do understand that this is not always possible and if the quality of candidates is not there locally then not always the best option. I believe most electorates prefer a local candidate however. Can you really concentrate on more than one constituency at a time? A number of the Bracknell candidates put a lot of hard work into learning about Bracknell and not just doing the arranged meetings but also have done their own work to find out about the local issues. But if your trying to win in consecutive seats without any break in-between, how can you do the work needed to understand an area when those constituencies are as far apart as say Bracknell and Penrith are. But the real problem is in parachuting candidates into safe seats. Granted an open primary gives the electorate a chance to select their candidate. But unless this is a postal vote how many of the electorate actually turn up to a Primary. Bracknell’s was less than half a percent of registered voters these candidates for the most part are still selected for what is essentially a safe seat. The actual election almost becomes a rubber stamp on the PPC already chosen in the Primary. Is this really good for our democracy or is this hiding the real problem of safe seats. We all know that with a majority of over 10,000 in Penrith, Rory Stewart will almost certainly win in the upcoming general election unless something amazing happens. I have no doubt that Rory Stewart could be a good MP and he could be cabinet material. I just worry that we are kidding ourselves that this is democracy, when what we really need is full reform of our whole electoral system so that seats are no longer so safe. I wish the incoming conservatives would consider the Single Transferable Voting system as it is fairer then First Past the Post. It gives voters more choice and puts power in the hands of the voters rather than the party. Where are all the women MP's? Where are all the Women Blogger’s? Recently the conservative leader David Cameron has come out in favour of all women short lists following in Labours footsteps with the Blair Babes (a real shame this phase I think as it degrades the female Labour MP's). I’m not sure I totally agree with this myself. I find myself more agreeing with Iain Dale and Ann Widdecombe where Ann wants to be able to look the male MP's in the eye and say she got here the same means as they did. But I’m not going down that road today. I’m promoting female blogger’s because perhaps if we correct this wrong we can correct all the above starting with blogger’s. Women will often bring something different to the conversion. Women may have a different prospective to a man and this should and must be considered and read. Of course I have my favourites but along with Jennie Rigg I have to include Charlotte Gore who is already well popular check Charlotte out here. There is plenty of reaction in the papers and on the blogs on the appearance of Nick Griffin leader of the BNP and MEP on Question Time. I don't feel I need to cover this in-depth. However I'm not going to say nothing here. It clearly went badly for Nick Griffin and I think the audience is only as bias as the general public after all most people know who the BNP really are. But I thought the questions were sometimes chaotic and unhelpful. It often seemed to be spiralling into arguments about who said what or what Nick Griffin had said which is more an interview format only with everybody asking the questions. Most people argue for free speech something I hold dear, but the problem is some want it on their terms i.e. 'I want freedom to air my views but don’t want you to air your views if I find them offensive'. You either have freedom of speech or you don’t. Also watching lots of angry people attacking someone like Nick Griffin (deserved it as he does) will not generate the right response and will actually create feelings of defensiveness from borderline supporters of the BNP. Question Time is supposed to be a political programme and I was hoping to hear views on policies and the Royal Mail strike , Afghan elections, UK population reports etc. The only other subject covered was the Daily Mail, Stephen Gately, Jan Moir affair. I guess this would of broken the BNP in so next time some actually policy questions can be asked. But a few things need to be added to this debate and that is why do people vote BNP. There is a big problem that never gets tackled. There is no one party standing up for the white working class and the BNP have identified this. They have lost their community and are hitting out, because Muslim do have a community as do other immigrant groups. People believe rightly or wrongly that they received more benefits etc. That's not true of course its just perception, Muslim will put there money together to build a mosque for example. White working class or even unemployed working class have lost their respect and that is actually a very important thing. People need their respect. We need to help them get it back. The middle class will say, 'There is no room in Britain for any more immigrants' where as the working class will say their taking our jobs, what about us! and why should they get any benefits from the state when we only get this benefit. I think that's what really needs to be tackled as people need respect back they need jobs and they need to feel part of our society. I think a well educated middle class person is more likely to vote UKIP then BNP which is not about race but about immigration. So if you want to reduce the BNP vote you need to look at the working class education systems. School exclusions, sink estates and poverty all need real change and real work put in. No more ignoring the people on these estates. Something that would help is mobility of the workers. The EU workers coming to the Britain have shown us how to do it. Why is our working class not as mobile as say the United States working class. US citizens are more willing to move to different parts of the country to find work and yet our country is as big as some US states and yet we don't tend to move within our boarders only possibly aboard, why is this? One thing we should also not forget is that some people are actually racist. Maybe because of upbringing or because of local culture, This need to die out as racism is just plain stupid and in the end holds yourself back through blame and hatred. Question time can be watched again on BBC Iplayer here. I was involved in MarkReckons Chat which can be viewed here by clicking replay on the Cover it live chat box. Normally I don't promote Mark Reckons Question Time live chat apart from last week when I was guest hosting as Mark was away. However this one is the big one, the hyped one and the one with the leader of the BNP Nick Griffin. This story has been all over the news the for a while now thanks to Peter Hain's claim that BBC could face legal action if it lets Nick Griffin appears on Question Time. For what its worth I think the leader of the BNP should be on Question Time as he is democratically elected. 1. Why was Councillor Paul Bettison, leader of Bracknell Forest Borough Council has been excluded from the shortlist for the Primary? Or any other local councillor see here. 2. Was this an open Primary or an all ticketed caucus, you had to register and despite being told that it was not a ticketed event you was provided with a ticket? 3. Why were there no local candidates in the Primary (ok Phillip Lee is almost local)? 4. How many members of the attendees were not local conservatives? It’s quite hard for anyone to take up a Saturday afternoon for any event. The hall was not full and I do not have any numbers of attendees. I did see alot of conservative tickets (they were blue others were white). 5. Why was this not done as a postal vote? Was this just down to cost? 6 .Why was there confusion with using the ballet boxes? I never got to use them in the end. All tickets had to be handed to a Steward. I believe that nothing underhand was happening after all there is no reason for this plus I could see the count from the door. It’s just the ballet box could have been used and numbered tickets provided, for extra insurance. 7. Why were we not able to simply number the candidates and put them in order on our first voting slip? Would have been faster plus the first slip was printed in this format. 8. Why did the 3 women go out in the first few rounds? Iain Dale explains in this post that only 1 woman has won the last 7 open primaries. 9. Did Conservative HQ change the list of candidates? 10. Instructions were posted on the Tuesday before the event on the Saturday which included a question slip. Conservative members also had these details but their tickets were blue and not white. However attendees also had a question slip included in this pack which you had to get back to the Bracknell office by the Friday. How much time does this give you especially given the current postal problems? Most Attendies I know did not get their tickets until the Thursday. Did the Conservative members get their information and question form sooner and therefore could they get their questions in on time? I didn’t even receive my documents for the event. I therefore couldn't ask my question and was unaware that I had to get it in before the day of the event. 11. 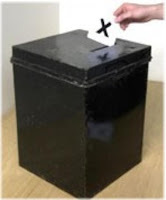 Why do the conservatives use alternative vote* for voting selection at a primary but are not in favour of any change from First Past The Post at national elections? See Here. 12. Now there is this video on Mark Reckons blog which is posted by Dan Haycocks, who is campaigning for our current MP Andrew MacKay to pay back the money he appears to have over claimed or step down if he is not willing to do so. This may all just be because this event is new and there were alot of CV's (near 200) sent into the Bracknell Conservatives. Some would have to go though the interview process. Maybe alot of the above is just down to learning pains but that is alot of questions. If anyone has any answers please post the question number and the answer in the comments below. *I have changed this line to alternative vote from proportional representation as it has been point out to me that this voting system can be “even less proportional”. Health watchdog the independent Care Quality Commission has reported South Central Ambulance Service as "weak". Care Quality Commission have this year also produced a damning report on Boardmoor Hospital in Crowthorne details of which can be found here on Bracknell Blog. In the 2008/09 report the ambulance service is shown to be one of the 3 worst in England. Last years report had our ambulance service as being good. It should be point out that no ambulance service scored "excellent" in the report, two scored good, six fair and three weak. The main failing on the report was the response time. The report showed the proportion of life-threatening calls not reached by South Central Ambulance service by 8 minutes, or after 19 minutes, was just too high. The report also showed the number of serious non life-threatening calls that it reached after the 19 minutes was higher then acceptable. The worry for me is that in Bracknell, Crowthorne and Sandhurst we don’t have a hospital which is close for emergency care cover. So by the time the ambulance gets to the sick and injured it is even more important, as the jouney to the hospital is not a short one. Ambulances have very highly trained staff and first class life saving equipment. They have to treat the patient and then transport them as fast as possible to a hospital. These periods are so critical especially when our emergency facilities are so far away from the users. Because of the continued reduction of services at Heatherwood, we lost our close emergency cover along time ago. I hope this will change one day but this look very unlikely for a long time to come see here. Instead of the Labour and Tory parties arguing on who will spend the most money on the NHS, would it not be better if all all political parties just worked together on this, to find out why these problems happen. To assist in the provision of any extra ambulance services that is required. We all know there are savings to be made in the structure of the NHS, lets just slim that down and redirect the money, or is that just too simple? Does the Bracknell Primary Show the Conservatives as Inconsistent on Electoral reform? There is an interesting take on the Bracknell Primary posted on Left Foot Forward by Mark Thompson on the link below. It’s about how the electoral system at the primary, strongly resembled the Alternative Vote type of proportional representation. I guess the local party believed that this was a fair system when there are a limited number of voters even though the conservatives support first past the post for general elections. I have just come back from the Primary and reported a Bracknell Blog news flash with the news that Dr Phillip Lee won. It appears that local doctors have the edge at local primaries. I got the feeling from walking the floor that he was winning from the beginning. Each candidate had a leaflet on the chairs to read (all glossy and professional more about these later). We also had a CV from each and a scoring sheet for our use. Lott’s were drawn to decide on the order of the candidates. The format was based on each candidate giving a short 5-minute speech, Questions from the floor and the moderator (All question had to be sent in from the letter, I didn’t get my letter in time so I could not ask any questions) for 20 minutes and lastly a 3-minute sum up at the end. After questions the primary attendees had to write which of the 7 candidates they wanted to win on a coloured piece of paper and then put these into a ballet box. This was a form of attendee driven STV (Single Transferable Vote) where we did the work. To win a candidate had to get over 50% or 50% +1vote. Once a candidate was eliminated we simply wrote the name on the next piece of differently coloured paper and kept on going until the 50% was reached. As far was the format went, bearing in mind that the Bracknell Tory Party has never ran a Primary before, for the most part worked. There were two problems; firstly the first 3 candidates were not able to answer all the questions (Not sure if this is an advantage or disadvantage). This was because when the questions were taken from the floor, the person asking the question asked it and then the moderator had to repeat it (this was not done for the first candidate but from the 2nd and 3rd). After this the moderator simply read the questions himself with audience approval, this meant that the 4th to 7th candidates could then answer all the questions. Second problem was the delay in an announcement about what we had to do with our first paper. I gave mine to a Steward but then we were told to put them in the ballet boxes. But after this the whole process although long worked well. Before the candidates took the platform we had a chance to read the leaflets. I actually think this was very important as you only have so much time to read them, so you scan them. I think Phillip Lee won on his leaflet alone. If you read his interview here you will see that he didn’t touch on some of the points in his leaflet. His leaflet was very concise and targeted to the conservative Bracknell voter. The front was very clear with 3 points all starting with local (local doctor, local man, local man loyal to his constituents). In his speech too I hear Local, Local, Local. The back of the leaflet was a master stoke, picture outside Heatherwood Hospital (currently under threat) and Royal British Legion. With comments on immigration (always a major topic on the door step and I think he pick up on this).Britain first before the EU and Supporting the Military covenant proposed by the Royal British Legion. Also mentioned defence of Heatherwood hospital (big topic in Bracknell) Local Police, local jobs and the regeneration of Bracknell Town. Naturally its really the council who are actually in charge of most of these topics but that does not really matter here as Phillip is simply try to win over the voters at the primary to become the PPC. Margaret Doyle leaflet was just too basic with a picture on the front and 5 points on the back with one endorsement. The Questions and Answers and Speeches in order of appearance. I’m going to judge this on how I felt about what each candidate conveyed as apposed to how the candidates actually are as you win on what of yourself you managed to get across to your audience. For example the candidate could come across as being a party line person when they may not be. The main point of his speech was local, local man, local doctor, total advantage here as he could easily claim this against the other candidates. He answered all the questions head on. What I really noticed was that he came across as caring and feeling. I did notice that Phillip in his CV stated that he would continue to sever as a doctor in the community but in his question and answers he changed this to become a full time MP. I wonder if he changed his mind there and then because he did pause before answering the question. He didn’t seem to stay too far from Tory policy in the questions. He also referred many principled points to his experience as a doctor in Bracknell, which came across very well. He answered very well in and his CV which was good and well structured. I marked him 24 out of 30 on my sheet. He had put a lot of work into his leaflet but he also had a team behind him handing out leaflets on the door. Ryan who I believe really is sincere did not come across this way, this I think was due to his reference to his love of Bracknell. He came across as a party man and very much a politician (not saying that’s bad). From what I could tell he came across a little boring, which I think is a massive shame as he clearly does great work at the Centre for Social Justice. He made it very clear that he was from a single parent family and that he was still able to achieve despite this. He did make it very clear that he would not claim for any personal allowances. He also mentioned demand led regeneration which didn’t go down well with non party members. He had a massive leaflet but there was just too much to read at the time, I heave read it now and what it does say is very good. His 5 key promises were good. He sounded at first like he was going to go down badly when he first spoke but the audience became entranced by him. It was a very interesting story about becoming a local on the ground in Kabul, Afghanistan and how he would become a local in Bracknell to understand the issues. He talked about how he could a track major foreign business to Bracknell and how he could bring about the regeneration of Bracknell as he had done this before on a major regeneration project. During the questions he upset some of the older Conservative members by saying that he would cancel trident altogether and spend more money on the troops. He said it was not required now but was only needed in the cold war. He said we still have other methods of delivering nuclear weapons. This was interesting coming from a man who served in Black Watch and who has many contacts. At the end of his speech he referred to his contacts and said he could easily speak to some very important people (I forget who now) but he did seem almost over qualified. I think actually he could have been a great (maybe still can) Defence Secretary. His Leaflet was one of the better ones although there were no pictures of Bracknell in it. We then had a break and up next were the ladies. Julia Manning seemed very much on the party line too until a question on the NHS where she said that she does not have a problem with using private companies in the NHS as she started up a business serving in healthcare. Julia has a lot of experience in healthcare and this came across well. She was also quite funny which is always good for a speech especially after you have already sat through 3 sessions. Julia Manning had uncovered a scandal in the NHS and had to take flack from some for this. She said she would move to Bracknell with her kids and referred to local issues. The main problem for Julia was by now we hand heard the same answers from most candidates to most of the questions and she seems very on message which put some off her I believe. I scored her 18 out of 30. She motioned that her father was one of the original town planners. Again very funny, but she really seemed to fall down on the questions. She appears to know it too and I thought she looked like she wanted to leave. One really good point and funny moment was when she spoke about a private members bill she would introduce stating that Britain should have a policy where we only adopt a European policy as the 2nd to last, and if we wanted it earlier it had to go through the house of commons and would therefore be thrown out so we would never need to adopt any European policy. Her leaflet had a lot of standard achieve pictures but no Bracknell pictures and nothing on the back. Seemed very professional. She works with George Osborne as an advisor. She mentioned the new rules for vetting checks and said Labour should have the slogan “No good deed goes unpunished” a very good line. She hand some different ideas like mentioning not having a 3rd runway at Heathrow but having an expansion of Gatwick instead. 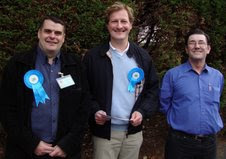 One bad point for us non Bracknell Conservative members was saying Dale Birch’s name 7 times (Deputy Leader of the Borough Council), it was like hearing a broken record. Other than that she had a good speech. Margaret Doyle leaflet as mentioned before was just too short and was by far the worst. Margaret’s CV was also the worst. It didn’t say much and had a list of endorsements. I scored Margaret Doyle 18 out of 30. I have to add I found it really hard to get hold of Margaret Doyle for a Westminster Councillor I used the Westminster council site to email her. I had to chase this up a few times and then I got given a different email from the council. I tried that email then got given another email. I emailed this then nothing so I then gave up. During her speech I’m sure she said she would not deal with issues herself. I think while true that MP’s have a staff she could of said this in a better way unless she actually meant it? As expected he came across really well. Funny thing is having spoken to Iain Dale I noticed that he was quite nervous when he started. I’m sure the other where too but I now know his voice quite well from TV, radio and in person. Iain Dale's speech took a different tack to the others and he spoke about trust, a good move, it woke us all up and was a great point to make. He also was very honest and received a few claps from the audience for the 11.5 million people who could need vetting to look after children and speculated that he would have to be in the future if he visited a school. Claps to for an English Parliament. He sated he would be independent but not a maverick. I’m sure Iain will blog on this speech later so I won’t go mad here. Iain Dale's leaflet was his canvassing leaflet he had used in town. All the pictures are local from Bracknell, Sandhurst, Finchampstead and Crowthorne. It even includes an endorsement from Lib Dem blogger Nich Starling. You can really see that he has put the work into winning this. Iain Dales CV was very good and well laid out. By the end I noticed that the candidates were all mentioning their family history and their Grand Fathers or Granddads. As far as I can remember, this happened in all cases apart from Iain Dale’s. Just seemed funny to me as this was annoying the man sitting beside me who wanted to hear about them, although I do understand how import background is. All candidates managed to reference their own personal families or personnel experiences to their speeches. Which I know is a good idea for speech writing as it makes you appear more understanding of a subject and helps people to remember and listen. Overall my experience of the open primary was good, after the speeches and questions I got to talk to a number of conservatives and none. I also spoke to a BBC reporter/cameraman. But I was surprised not to bump into any Labour members. Ray Earwicker the Lib Dem PPC was there but left before the voting, which I think, was the right thing to do. This was quite social but I do love talking politics. Well done again to Dr Phillip Lee on being selected in a tough competition. I look forward to the general election campaign where I will be helping the Lib Dems beat him, but I don’t mind admitting, it’s not going to be easy. Dr Phillip Lee wins Bracknell Primary for Conservative PPC. It was a very long day. Started at 2pm and ended 7.10pm. Well done and Congratulations to Dr Phillip Lee. I will write a full report on the events on today on Sunday. But I would like to give my commiserations to all candidates. "Many many congratulations to Philip Lee. And I mean that. He is a worthy winner. Naturally I'm gutted, but there can only be one winner." This Saturday the Bracknell Conservative Association is holding an Open Primary. I think now is a good time to remind ourselves why. It’s because our current MP, Andrew Mackay, claimed for a second home allowance for mortgage interest payments on a joint flat near Westminster. Meanwhile his wife, Julie Kirkbride, Tory MP for Bromsgrove, has used hers 2nd home allowance to pay off a similar amount on the loan for their family home in her constituency. This meant that they were able to use public funds to pay for both homes as second homes for at least eight years, this was after the commons authorities agreed that Andrew Mackay could name the family home as his main residence and Julie Kirkbride could name the London flat as hers. Im not questioning if Andrew Mackay was or wasn’t a good MP, I have seen plenty of people say he was a good MP and he was helping my brother out with an issue, which soon went quite after he decided to step down thereby triggering the Open Primary. Anyway I would not be doing my job if I didn’t report on new websites effecting the Bracknell MP. So please do take a look at www.goodbyemackay.com/ This site also includes a petition which ask him to resign so that he doesn’t get a golden hand shake if he stays in office until a general election is called. Firstly well done to Mark Phillips. Which means the Conservative got 64% of the vote n 2007 and only 48% today. So some conservatives have voted for other parties. Also Labour had 29% of the vote in 2007 down to 25%. This Borough was last held by 3 Labour Councillors in 1997 with 51% of the vote, the Tories then had 42% of the vote and the Lib Dems only had 7%. Now people of Bracknell I ask you this. If you have a party with a massive majority and you have a By-election and a new candidate with no track record in your borough, then why did you vote for another Tory? Here you have a chance for a fresh start, take it. For the sake of democracy in the Tory Republic of Bracknell vote for someone else do you really want to live in a Bracknell one Party state. Don’t worry the Tories will still run the council, but please we must have some other parties on the council. Just like this tired government we need a change in Bracknell council or at least a decent opposition. Next time there’s a by-election please think on this and vote for the other side. If you dont vote, why? the councillor spend your money. This person also represents you and you have a chance to vote for one. You say nothing will change, well it wont if you dont vote, All the candidates are different and so are the partys. VOTE! One other point to note is that the Tories had the added bonus of an Open Primary with the candidates also being able to provide extra door knocking power, which is fair enough but just bad timing for the other parties. Between Telling and attending the Hanworth By-Election count I will be running/hosting Mark Reckons BBC live Question Time chat from 10.30pm here while he is away in New York. Journalist and broadcaster Dame Joan Bakewell. The By-Election in Handworth is tomorrow. I have been doing a bit of door knocking myself this week in Hanworth and Birth Hill. I think its going to be a very interesting election result. There has been very varied opinion on the door step I can't list them here. I would like to thank the people of Hanworth and Birth Hill for their politeness and for listening. Please do express your democratic right and vote for your preferred candidate. I asked Julia Manning a few questions about her politics and what she can offer Bracknell in his selection of one of the 7 candidates who are standing in the open primary for the new Tory PPC to replace Andrew Mackay MP.Details of the other candidates on the short list can be found here. 1. What can you offer the Bracknell constituency? I will offer the best years of my life based on: 20 years real life experience in the NHS and business entrepreneur, the knowledge gained as a mum bringing up a family, working with some of the most needy people in our society (the elderly and prisoners suffering from mental illness) and more recently developing policy to influence a fairer and more responsible society. My husband Clive and I have been through negative equity, redundancy, unemployment and been victims of crime so we bring an understanding with us that life can be tough and that getting the right support is essential. 2. Will you be willing to move to the constituency? Yes we would make our family home here. 3. Are you independent minded and would you question the party policies if you see the need? I believe both loyalty and integrity are important. On the whole I obviously agree with the Conservative Party's position on most things but I will always ask questions when a course of action doesn't seem right. 4. How do you feel about Andrew Mackay's departure and the second home error he and his wife Julie Kirkbride made? Everyone I have talked to has spoken warmly of Andrew's service to the constituency and are sad at his departure. It was selfless of him to put David Cameron's bid for Government before his own ambitions. However I think some MPs, from all Parties, forgot whose money it was they were claiming - i.e. our taxes - paid in good faith to be used for the public's good. 5. Do you think that pre-registered open primaries are a good idea? Yes because they encourage democracy and participation in politics - which runs all our lives. 6. If you could improve anything about Bracknell constituency what would it be? It would have to be the town centre - it needs to draw people in and be somewhere that enables stronger community ties. 7. What previous experience do you have in politics? I joined the Tories in 2000, frustrated by the NHS and outraged by Labour's assault on the family. I have stood for the council twice where I live and for Parliament in Bristol in 2005 - all sadly in Labour heartlands! However I have been getting involved in Westminster as an amateur for a few years, so I have learned a lot about the role of the MP and policy formation. I am currently finishing a green paper for the Conservative Party on New Health Technologies. 8. You have stood as a PPC in Bristol East why do you think you lost this election and what have you learned from that experience? As I mentioned it was a Labour seat with a 13,000 majority so it came as no surprise to lose. It was the most character building experience I have ever had, standing up in public for what I believe in: family, community and my country. I learned that life really is too short to waste on trivia and that being a voice for the voiceless and standing up for what is right is the most important investment that I could make with my life. 9. Why do you want to stand for the Conservatives as apposed to any other political party? I am a Conservative because I believe in personal freedom within a framework of responsibility that is based on a foundation of the rule of law where laws are kept to a minimum! In other words, Government's role is to trust and support people whilst providing them with security - not to control or take over their lives. 10. Do you have any prior connection with the constituency? If not, isn't it fair for voters here to conclude that you are just looking for a safe Tory seat in order to further your ambitions? My only prior connection is that my Grandfather was President of the Sandhurst admissions board. You are right, I am ambitious - ambitious to serve. Having worked one to one with needy people all my working life and seeing the way our families and culture have been undermined, I am now passionate about being able to fight for a fairer society. The great thing is the choice is yours and you should select the best person for the job, no matter where they live now! I am activity seeking the opportunity to ask similar questions of all the candidates in the open primary and hope to post them on this blog soon, Q&A was with Iain Dale can be found here, Phillip Lee’s here and Ryan Robson here. If you would like to reply to any questions asked or answered then please do so in the comments below this blog. Julia Manning blogs at Centre Right on Conservative home here. Disclaimer: Bracknell Blog does not supporting any particular conservative's candidacy in the Bracknell Primary Selection. 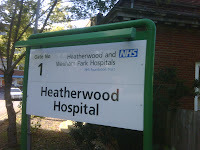 Russ Bryant who runs the facebook campaign group to stop the closure of Heatherwood Hospital has setup a petition on the number 10 website. I would like to thank you for your support of the above Campaign if you decide to sign the above petition. You can read the recent news on the debt crisis on this Blog here andhere. This weeks Standard report on the move to shrink and consolidate the sites at both Heatherwood and Wrexham Park. This could result in loss of services. This also comes on the back of 157 staff jobs being put at risk as top level negotiations have begun between union representatives and managers. The trust’s council of governors was informed of this move by chief executive Julie Burgess. The plan is to reduce the site to a smaller footprint which should save money. While the layout of Heatherwood is properly not efficient the big concern is the removal of services from Heatherwood which could then lead to the sell off of the site to pay of the 10 million owed. This is a very dangerous time for the hospital care in the Bracknell area as the whole Trust is in survival mode from government watchdog Monitor. Let hope Heatherwood will survive these testing times but I personally fear the worst. I think it’s high time I promoted something positive. So please people of Bracknell check out the Bracknell Forest Society, it started in 2007 and is 1 of 750 Civic Societies in the UK. I asked Ryan Robson a few questions about his politics and what he can offer Bracknell in his selection of one of the 7 candidates who are standing in the open primary for the new Tory PPC to replace Andrew Mackay MP. Details of the other candidates on the short list can be found here. Ryan Robson is in the Centre of the above picture. 1. What can you offer Bracknell constituency? I am a successful and experienced businessman and am a Director of Bagshot based DC Leisure which employs thousands of local people and helps keep the community healthy and active by running over 100 local authority leisure centres. I have built up a group of healthcare and education businesses, which employs over 16000, and know about job creation, attracting investment and building winning teams. This means I am well placed to fight for local jobs and services in the recession and will be able to work with the council and developers to regenerate the town centre. Too many politicians talk too much and do too little. I am a practical problem solver and will use these skills to help residents. Yes. Absolutely. MPs and their families should be local. 3. Will you question the party policies if you see the need? Yes and as a Director of Iain Duncan Smith's Centre for Social Justice, I have led the debate in changing and shaping our policies in crucial areas like schools and welfare reform. 4. What do you think of the outgoing MP Andrew Mackay? Everyone I meet on the doorstep says Andrew is a hardworking constituency MP. If elected I want to build upon this reputation by responding quickly and effectively to resident's needs. Yes because this can be a genuinely local choice. Come and vote and you can choose your next Conservative candidate. That's democracy in action! 6. What is the one thing you would change about Bracknell? The town centre. We must stop it becoming a ghost town. I want to work with the local council and developers to create a special and thriving centre where the Marks and Spencer’s of this world can attract local custom and create jobs for local people. 7. Do you have any previous political experience? Yes. I was Chairman of the Wandsworth Conservative Councillors and championed low taxes and quality public services. I represented a traditionally deprived and Labour ward, which is being regenerated, fought for more police on the beat and cleaner streets. Since then I was asked, because of my business experience in healthcare and education to lead policy reviews for David Cameron and Iain Duncan Smith. 8. Why do you want to stand for the Conservatives as opposed to any other political party? Because as a positive, optimistic person I would rather trust people than the state. As a family man I believe in supporting and encouraging hardworking families. As a businessman, I believe that the only way the economy will grow its way out of recession and provide the revenue needed to properly fund schools and hospitals is by reducing red tape and taxes. 10. Will you continue with your work as Chairman of the Centre for Social Justice? to get kids from poor backgrounds a decent education and stop the neglect of children in care. As a family man I care passionately about these issues and will continue to speak out on them. It's unpaid voluntary work and believe it is making a difference. 11.Do you have any prior connection with the constituency? If not, isn't it fair for voters here to conclude that you are just looking for a safe Tory seat in order to further your ambitions? As a director of Bagshot based DC leisure which employs lots of local people I have come to know and love the area. I have much to learn but everybody I've met from Great Holland’s to Finchampstead has been very welcoming and keen to tell me how I can help. I am activity seeking the opportunity to ask similar questions of all the candidates in the open primary and hope to post them on this blog soon, Q&A was with Iain Dale can be found here and Phillip Lee’s here. *My apologies to Mr Robson for my question 9 ‘Does having experience as an investment banker hold you back as a future PPC in light of the current banker popularity?’. I got the investment banker question wrong. However I ask this question because of information read on Richard Willis Blog (a Conservative Councillor in Reading) therefore I believed this to be the truth as he is a fellow conservative like Mr Robson. But I can now put the record straight that Ryan Robson is not an investment banker. Richard Willis post can be read here . Next time I will be more careful in my research. I have blogged about what I have learned being a blogger in the past which you can read here. England Pay Per View Attempted Outcry! Now this is not the normal place for a Blog on this subject but I think this is important to many as football is expensive enough already. The article here covers the story well including a few extra details not mentioned here. So why is this not being reported as a bad thing in the national press? Well is it because many papers are showing the game on there websites and earning money from it? Maybe it’s just too soon, but I’m not sure the average football fan is not happy about the game being internet only. Surely it is wrong to have an important national sport on an internet pay-per-view only site. I believed that many newspapers considered football to be sacred like many of there readers do. I want to see the newspapers rise to the challenge of reporting just how unfair this is on us, the put upon football fans. Why are England qualifiers not protected from these crazy deals. I understand that the game would have delayed the showing of X-factor and Strictly Come Dancing if it was on terrestrial TV and also England have qualified so this could be a one off. But is it? Does this not set a precedence? Surely Channel 5 could of had this game. Not only is this a very bad enough having to watch a pay per view match, but what about the following problems. 1. You have to pay £4.99 offer available until Thursday 8th October. Price increases to £11.99 on match day. 2. The picture will be of a much worse quality. 3. Most will have to use a small PC screen or laptop screen to watch it. 4. Is it not possible that it could crash, hence the reason for a limit of 1 million viewers. But I'm sure this is still possible. 5. The sound is also worse on the internet. 6. There are still plenty of people out there with low quality broadband and still others with no computer or internet. 7. Pubs won’t be showing the game, well ok some pubs could setup a laptop to a screen (and not to all of their pub TV screens I suspect) but how the picture will look even worse on a big pub screen. 8 Would your family crowd around a laptop? I just wondered where the out cry is, I for one would like to know. I should point out that these game are being show at Odeon cinemas, perhaps that is the best way to see it, although its still £8 at my local cinema and that’s not even so local (Basingstoke from Bracknell) and there be no beer on. And one last point to note, Com On England!! Now that Ireland have voted yes to the Lisbon Treaty, I see that David Cameron is promising a referendum on the treaty IF the Poles and Czechs manage to delay ratification until he wins the GE. I understand from press reports that ratification by Poland is imminent but that there is even some sort of undercover agreement with between the Tories and the Czech President to try to delay the Czech ratification! If this ruse fails and it is ratified by all 27 members before the Tories win, then it seems to me that Cameron will still have to promise to run a referendum on the treaty in view of the strong euroscepticism in his party and throughout the country! Goodness knows exactly how the Lib-Dems plan to play this EU situation now? The simplistic IN/OUT referendum the Lib-Dems have said they will promise us in their Manifesto may not come across to the average voter as being much different to a Yes/No treaty referendum promise from the Tories. So, presumably there are not many votes to be won by making such a promise now? But, a No result in a treaty referendum after ratification would just mean the UK would be asked to run it again until we got a Yes vote - just like Ireland, wouldnt it? What would that achieve, other than more chaos, ditherring and confusion - and a continued half-hearted UK commitment to the EU, with UKIP and the BNP becoming increasingly active? Can the Lib Dems still steal some votes from the eurosceptics over this situation? I think so, but only if the Lib-Dems offer a clear middle course option in their IN/OUT referendum! IN as the EU stands? OUT? if they don't get them! Unlike both the Labour and Tory parties, this would show the voters that the Lib-Dems are not only very tough negotiators for the UK's best interests, but also that they really are truly a liberal, democratic and a progressive party - offerring the prospect of a real change for democracy in the UK. In my view this, and only this 3 choices referendum, will lay the UK's EU membership issue to rest once and for all. And it will prove to the voters that, while the Lib Dems may be broadly supportive of our EU membership, that thay really are constructively critical of many aspects our EU membership at the same time - as I have so often heard them claim!. Okay, I say, Lib-Dems - prove your credentials! Please note: This blog post was post by Dazmando for and on behalf of Billbloggs as a guest post. 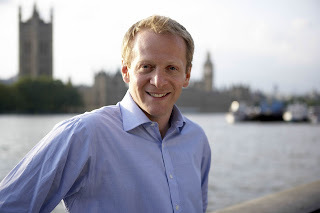 I asked Phillip Lee a few questions about his politics and what he can offer Bracknell in his selection of one of the 7 candidates who are standing in the open primary for the new Tory PPC to replace Andrew Mackay MP. I can offer my enthusiasm, drive and professional experience. I have worked throughout the Bracknell constituency, having already cared for over 2500 constituents in Finchampstead and Bracknell Town. When I undertake sessions for the East Berkshire ‘Out of Hours’ service, I am responsible for covering Bracknell Town. The people of Bracknell constituency should know that I will dedicate my working life to representing my constituents at Westminster, defending their best interests locally and securing a bright future for the Bracknell constituency. 2. How has being a General Practitioner prepared you for politics? My present ‘day job’ involves acting as an advocate for the best interests of my patients. At times, trying to provide the best care for my patients in this part of the county can be both tough and frustrating. I believe that many of the skills that I have had to develop as a local GP are the same skills that I will need to be a good constituency MP here in Bracknell. 3. Will you be willing to move to the constituency? No. I presently live just 10 miles from Bracknell Town and feel that moving such a short distance will not make me any more able to represent the people of Bracknell constituency. I am sure that local people recognise that health services, policing, transport and the environment are all regional matters that are well understood by someone who lives in a neighbouring borough. For example, where I now live, I am protected by the Thames Valley Police and my healthcare provision is provided by East Berkshire PCT. The same situation applies to someone living in Bracknell Town. For the record, I will make no future claim whatsoever from my Parliamentary allowance for my present home in East Berkshire. 4. Will you question the party policies if you see the need? Yes, if needed. For me, representing the best interests of my constituents will come ahead of my allegiance to my party. 5. How do you feel about Andrew Mackay's departure and the second home error him and his wife Julie Kirkbride made? I was saddened by events here in Bracknell. Ever since I first met Andrew Mackay, he has always been kind and supportive towards me. I’ve yet to meet someone in the constituency who did not regard him as a good MP. Indeed, whilst waiting to be interviewed in the first round in the selection process for the Bracknell constituency last week, I met a couple in the bar of South Hill Park who happily sang his praises. What he did over his Parliamentary allowances was wrong; however, if selected as the candidate, I would most certainly listen to, and learn from, a man who has done so much for his Bracknell constituents. 6. Do you think that pre-registered open primaries are a good idea? Anything which increases participation in democracy broadly gets my support; however, I have some concerns over the effect that this type of process has on the relevance and value of political party membership. Our democracy is based upon ‘Party Politics’. The recent national trend of reducing membership levels in all parties is, I feel, not good for the long-term health of our democracy. 7. If you could improve anything about Bracknell constituency what would it be? The acute medical and surgical services for East Berkshire are not in the right location to best serve the local population. It is of paramount importance that this historic misjudgement by the then health authority is admitted to, and addressed as soon as possible. I know I would be very capable of holding them firmly to account, thereby securing the best healthcare for all in the Bracknell constituency. 8. Do you have any other previous experience in politics? PPC Blaenau Gwent General Election 2005 - Although my total vote was numerically small (! ), I achieved the largest swing to a Conservative Candidate in Wales in this high-profile political contest. Councillor in Beaconsfield, Buckinghamshire 2001-2003 (By-election) – In February 2001, I stood in a Liberal Democrat-held seat and secured an 11% swing to win the seat. 9. Why do you want to stand for the Conservatives as opposed to any other political party? · the supremacy of the Nation state. Hence, I believe that the Conservative Party is the only party for which I could stand as a candidate. Clearly, as explained above, this question does not apply to me. I am activity seeking the opportunity to ask similar questions of all the candidates in the open primary and hope to post them on this blog soon, My first Q&A was with Iain Dale and this can be found here. Disclaimer : Bracknell Blog does not supporting any particular conservative's candidacy in the Bracknell Primary Selection. I recently asked Iain Dale a few questions when I discovered that he had been selected to stand in the open primary for the new Tory PPC to replace Andrew Mackay MP. Total dedication to the constituency, the knowledge of which doors to knock on and who to talk to to get things done and an ability to analyse a problem and get it fixed. Ann Widdecombe reckons I work harder than anyone else she knows. I'm a very driven person and if I make a pledge, I move heaven and earth to deliver it. I call a spade a spade. I will have a home in the constituency and I make a pledge that it won't cost the taxpayer a penny. My doctor, butcher, post office and pub will be in the constituency. I'll be using the same council services and public transport as everyone else. I'll commute to Westminster on the train. I won't have a separate home in London. 3. You have never been afraid to question your own party on policy will this continue? Yes. I do not adopt an attitude of 'my party right or wrong'. I am proud to be a Conservative but every party gets things wrong sometimes, and you sometimes need the courage to speak out. Anyone who reads my blog knows that I am constructive in my criticism, but do not hesitate to speak out if I think the need arises. Constituency before party is a maxim every MP should adopt. On a personal level I feel desperately sorry for them both. Everyone in Bracknell knows what a good constituency MP Andrew has been. He is accessible, visible and has helped thousands of people. But he made an error of judgement and has paid the price for it - a heavy one. I have a reputation for sticking by friends in times of adversity. After all, if you abandon them you're not much of a friend, are you? But like Andrew, I recognize the strength of feeling both in the constituency and in the country over MPs' expenses and I can promise that I "get it". All my expenses will be available online and through the local press for public scrutiny. I will account for every penny spent in the pursuit of my parliamentary duties and constantly look at ways to save money for the taxpayer. 5. Do you think that ticketed open primaries are a good idea? I was very sceptical about Open Primaries when they were first trialled. But I have changed my mind. Anything that involves a large number of people in the political process - many for the first time - has to be a good thing. I recognize why some long standing Conservative members react against them as their role in candidate selection is inevitably diminished. But overall I think the positives outweigh the negatives. There is little evidence of rival parties trying to pack a meeting and vote for the weakest candidate, and I am sure that won't happen here. I'm tempted to duck that question on the basis that I am not yet an expert. But when I taught in the constituency in the mid 1980s I remember thinking that Bracknell town centre could do with a makeover. Today that is even more the case. We all want to see the regeneration happen, but it has got to be demand led. Also, it is almost criminal that a town the size of Bracknell doesn't have its own hospital. 7. Will you continue to blog if you were elected? Absolutely. I think a blog is a vital part of any politician's communication strategy. I don't intend making many changes, although I would probably start a separate blog purely related to the constituency. But I certainly don't intend abandoning Iain Dale's Diary, which is now one of the most widely read blogs in the whole of Europe. 8. If you were to win, would being an MP affect your work at Total Politics? Over the next eight months I will change my role in the magazine. I am not the editor. I conduct one interview each month and I oversee the business side. I also commission books for Biteback Publishing. I do not intend to divorce myself from the businesses as 12 people rely on my continued input for their jobs. Under new rules, constituents will be able to see how long I spend on this work, and that is quite right. Some may think I should give them up completely or shut them down. I do not agree. I didn't start these two businesses two years ago with the intention of them ceasing trading if I entered politics. My future role will be as chairman rather than chief executive and is likely to take up three or four hours a week. 9. Some might say you are a career politician and part of the Westminster village. What would you say to those people? I'd love to see how they justify that. One of the great things about this selection is that all 7 candidates have a life outside politics. In the last 20 years I have created and run eight different companies. I know what it's like to sit in my office on a Friday afternoon wondering how I can pay the salaries. I have gone through the agonies of hiring and firing people. I experience the same red tape as every other business. I also have a career in the printed and broadcast media, presenting radio and TV shows. Yes, I love politics, but to allege that I am a career politician is ridiculous. When I left university I spent two years working in the House of Commons. In 2005 I spent six months working for David Davis on his leadership campaign. Two and a half years in politics out of a career spanning 24 years - that's hardly evidence of being a career politician! 10. Why do you think you did not win the Norfolk North general election in May 2005 against the incumbent Norman Lamb (Lib Dem MP)? "I was vice Chairman of north Norfolk Lib Dems at the last general election and was District Councillor for Fakenham North in the North Norfolk constituency. Put simply Iain did not stand a chance due to our organisation and planning. We knew (and know) that North Norfolk Tories organisation and ability to fight elections was in a parlous state. Iain didn't when he put his name forward. When selected and he realised that he was on a hiding to nothing he carried on knowing it might damage his prospects but he stayed loyal to the Tory party and actually fought a first class campaign. Iain put out more leaflets than any Tory candidate in Norfolk and had more posters up than any held Norfolk seat. The fact was nobody was going to beat Norman Lamb who has enormous name recognition and widespread popularity across North Norfolk and beyond. In my opinion the Tories would have lost be 15,000 , not 10,000 were it not for Iain's campaign." The truth of the matter was that Lamb was a very good constituency MP. He had stood for the seat twice before he won it and was very popular. He was also quite right wing and Euro-sceptic for a LibDem, and even members of the local association liked him. I played him at his own game, had excellent press coverage and ran very successful local campaigns, but it was never going to be enough. 11. Do you have any prior connection with the constituency? If not, isn't it fair for voters here to conclude that you are just looking for a safe Tory seat in order to further your ambitions? It's a reasonable point to make. However, Bracknell is the only seat I have applied for. If was so desperate to get a seat - any seat - I would have applied for Woking, Wycombe, Congleton and the rest. But I didn't. I believe you have to have an affinity with any seat you apply for. That doesn't mean you have to have lived there, but you have to be able to relate to it and understand the people. I taught Arab kids English for two summers at Wellington College in the mid 1980s so I got to know the area around Crowthorne and Sandhurst well. We took the children for trips into Bracknell. But I make no bones about it, I am not a local and none of the others are either. But I will become a local and within a very short time I can promise that I will understand the issues, which make this constituency tick. I know already that it is a high aspiration, high motivation area, and that suits my character down to the ground. As you can see Iain Dale was kind enough to give me some very extensive answers. I am activity seeking the opportunity to ask similar questions of all the candidates in the open primary and hope to post them on this blog soon.